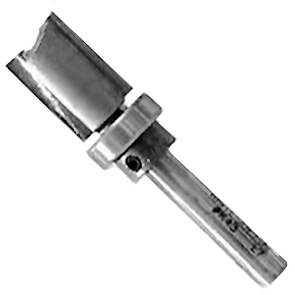 Whiteside Machine Companys 14° Dovetail router bit works with Incra and Porter Cable dovetail jigs along with other applications. This bit also works great with the MicroJigs® Matchfit Dovetail Clamps (Item #4374 sold separately) in creating the dovetail for the clamps to slide in smoothly and allows it to be a snug fit. 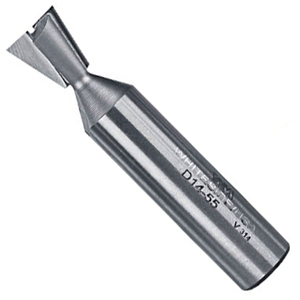 Whiteside Machine Company 7° Dovetail router bit works with any templates or dovetail jigs and also works with our Dovetail Wiz™ Dovetail System #3452 (sold separately). 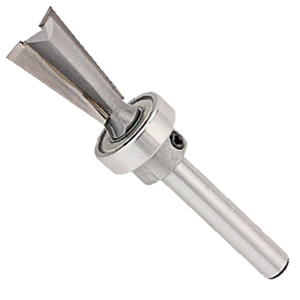 Whiteside Machine Companys 5/8" Straight Cut Router Bit works with any templates and some dovetail jigs and also works with our Dovetail Wiz™ Dovetail System #3452 (sold separately). The Whiteside inlay kit makes perfect inlay easy, with a simple set up that cuts both the inlay and recess without the need for multiple templates. 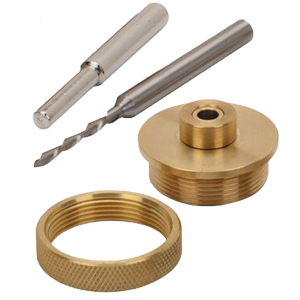 The guide ring and spacer provide the exact offset for perfectly fit decorative or repair inlay.